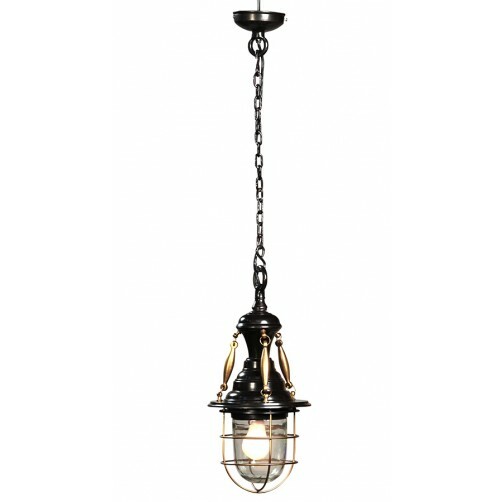 Representing the classic styling of early industrial lighting, salvaged ship lights have been outfitted anew to create a perfect hanging pendant lamp. We love it solo or as part of a fleet. 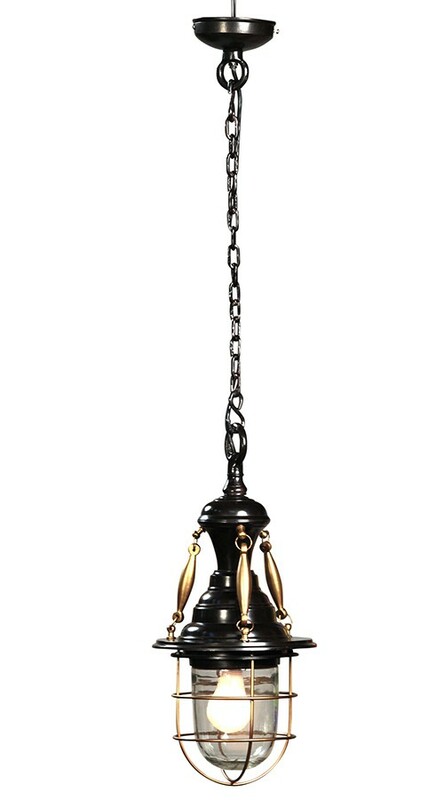 Brass ceiling lamp dark metal and brass antique finish. Ceiling canopy and chain included. 60 watt maximum, light bulb not included.